Updated at 3 p.m. on 1/29/2015 to include Weinberger's response on student housing question. 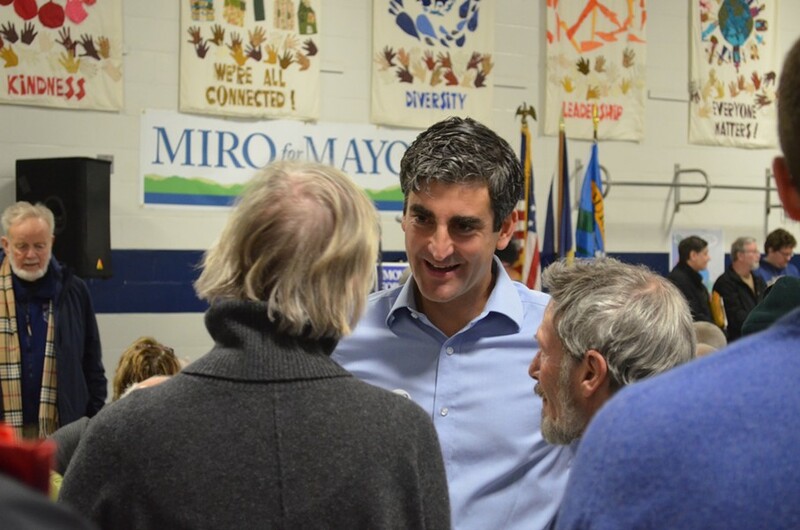 Mayor Miro Weinberger went on the offensive today against Progressive Steve Goodkind during the first mayoral debate of the season. Standing in WVMT-AM’s small, poster-plastered studio, the Democratic incumbent and his challenger traded barbs on everything from sidewalks to fighter jets on the boisterous "Charlie + Ernie + Lisa Show." Though Weinberger is the incumbent, Goodkind, the city’s former public works director, spent more time defending his record. The other two candidates, independent Greg Guma and Libertarian Loyal Ploof, were not on the show. The mayor was most acerbic on the subject of the Champlain Parkway, a four-decades-in-the-making road project intended to alleviate traffic in the city's South End. With a legal dispute resolved and an Act 250 permit in hand, Weinberger plans to reboot the long-stalled project. Goodkind, who oversaw the project as public works director, has said he'd ditch most of it and would fix traffic problems through other means. Weinberger called his opponent's proposal "fairly breathtaking" (in a bad way), "just shocking" and "not a fully baked plan." Among his criticisms: It would waste the $7 million in federal and state funding already spent on the project, and it amounts to an about-face for the man who once oversaw the plan. Goodkind acknowledged that he'd had an "epiphany" about the parkway. But he also said he had expressed concerns while he was public works director, and was forced to adhere to the direction set by the administration. Citing "seven-figure deficits" in two public-works funds, Weinberger also accused Goodkind of "struggling to manage the finances of the single department he was in charge of" and contributing to the downgrades in Burlington's credit rating attributed to Bob Kiss' tenure as mayor. 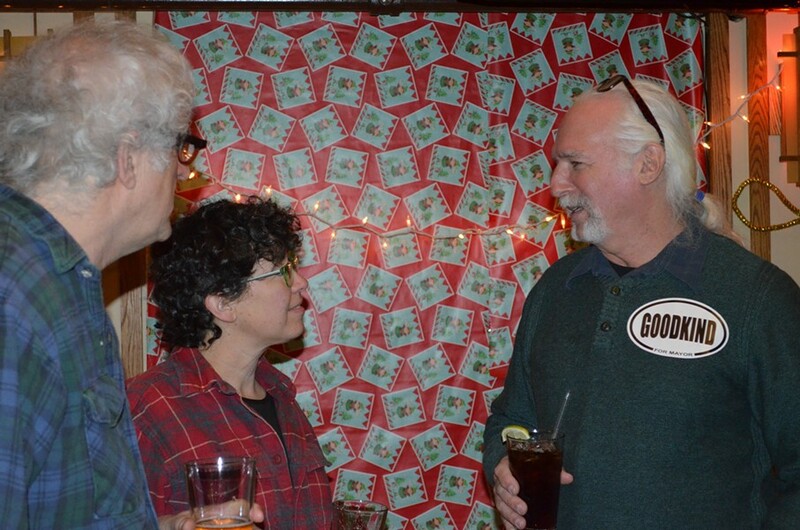 Steve Goodkind chats with supporters at his campaign launch at Three Needs bar. Goodkind's response: His department had lived within its budget, but the administration had "built in structural deficits to those programs." The candidate, who had served briefly under Weinberger before retiring, also told the mayor, "When you had to balance your first budget you came to me. I balanced it." Though he was forced to spend much of his airtime responding to Weinberger's criticisms, Goodkind did make the mayor defend his stance on downtown development, asking him, "Why do you think it's appropriate to locate large student housing blocks downtown?" During a rapid-fire series of slightly more irreverent questions, Goodkind shared that his favorite food is meatloaf and his music of choice is "old-time banjo." Weinberger prefers Bruce Springsteen and said "I've never met a french fry I didn't like."